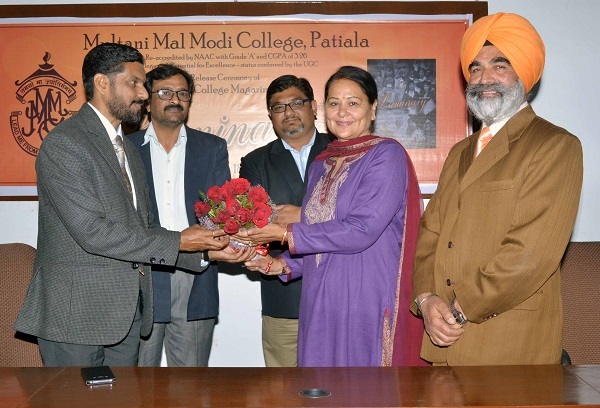 Dr. Sunita Dhir former Head and Professor, Dept. 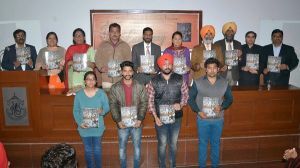 of Theatre and Television, Punjabi University, Patiala presided over the function organized to release the college magazine – ‘The Luminary’ at M M Modi College, Patiala. She appreciated the quality of the contents of the Magazine and congratulated the students for contributing their writings to enrich the magazine. She emphasized the fact that college magazine provides a launching pad to the students for giving expression to their creative thinking in various genres of literature. She advised the students to seek able guidance of their teachers in chiseling their budding creative skills. Principal Dr. Khushvinder Kumar welcomed the chief guest and shared his conviction of College magazine being a platform for creative writing as well as a historical document narrating the important events occurring during the life of the college. 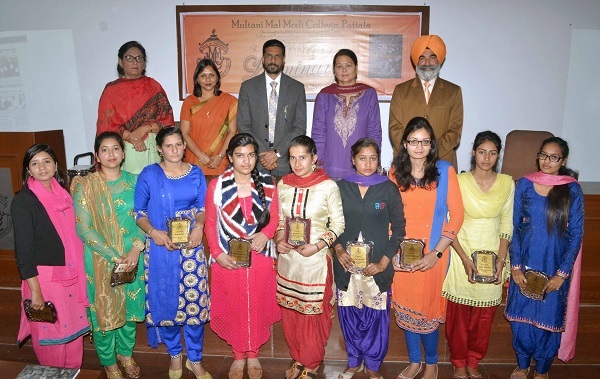 Prof. Shailendra Kaur, Dr. Gurdeep Singh and Ms. Deep Priya shared their sweet and sour experiences they had while editing the magazine. 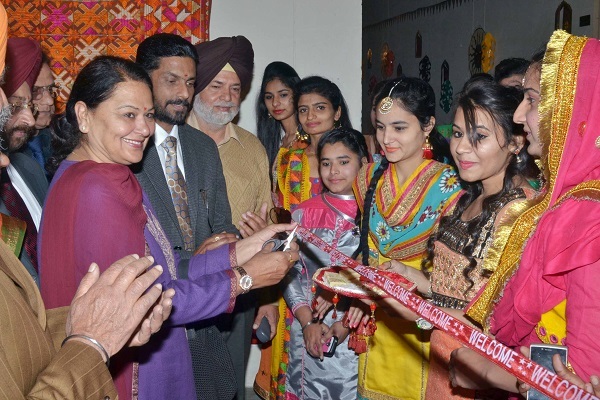 Dr. Sunita Dhir earlier inaugurated the exhibition of Fashion Designing Dept. – Creation 2016 – focusing on the theme of ‘Beti Bachao Beti Padhao’. She appreciated the skill with which the students made different articles recycling waste material. 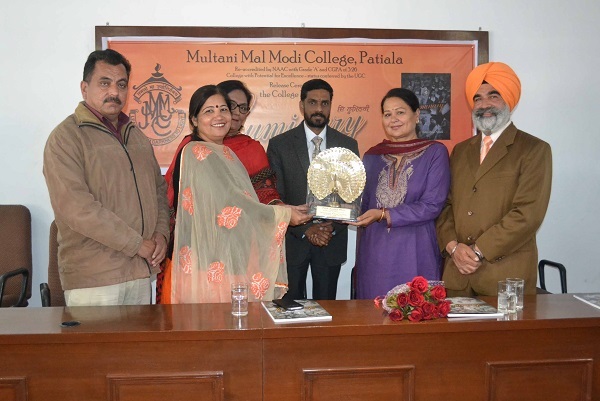 The students felt blessed by receiving prizes from a celebrity of Sunita Dhir’s stature. 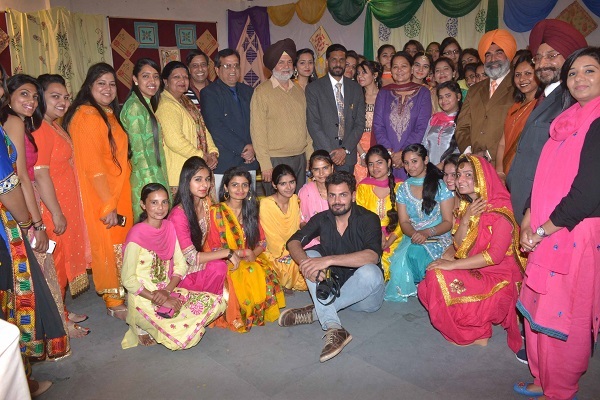 The staff and the students were also inspired with the presence of Sunita Dhir whom they had been watching through Punjabi films. College Vice Principal Prof. Nirmal Singh thanked the chief guest, the editorial board, the staff and the media. He also highlighted the problems which the editorial board confronts while persuading the students to contribute as well as while editing their writings.